Read what Sellers and Buyers have to say about working with Joe... "We were referred to Joe, through another real estate agency, gave him a call about our property in Riverhead , apparently he had been working with a client looking for something like that so within 4 days we had a deposit in another 3 days went unconditional, for the price we wanted. Very smooth operator with a laid back style that just wants to get the job done. Hard to find in todays world, especially in real estate. Many thanks Joe, really appreciate your professionalism and help" Sellers Rob & Marjo Beets " We have just sold our property in Henderson valley listed with Joe and Todd from Harcourts, Northwest Realty Ltd. These guys were the most friendly yet professional duo you could wish for. There attention to detail and absolute 100% communication was outstanding resulting in a smooth and speedy process in the successful sale of our property. Highly recommended" Sellers Tony & Sandra Purvis “Having brought and sold multiple properties over the years we have seen some great salespeople at work. None however can match Joe Steel. He is honest, hard working, enthusiastic and relentless. Combine this with his easy charm and smooth skills he can do things other agents cannot. Above all, he made us feel at ease knowing he is in control and on the job 24/7” Seller Adriaan Venter - West Harbour “Joe is professional, accessible, and highly informative. He stays ahead of the game, his tips are priceless and I appreciated his diligence and energy. 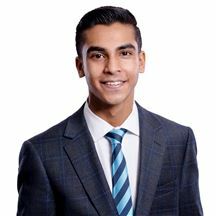 I would not hesitate to recommend Joe to anybody who is looking to buy or sell property” Buyer Bhavin Dhankee “When we finally decided to put our property on the market we knew it wasn’t going to be easy. This had been our family home for over 23 years, where our two children had grown up and where we shared magical moments with our granddaughter. Joe made this experience quite the opposite from what we had expected, he was sympathetic towards our emotional attachment to our home and strategically managed the whole process from start to finish. Joe suggested the best method of sale for our home, implemented a one of a kind marketing plan, made specific recommendations that we believe made a significant difference to the sale price and had great communication skills. Not only did Joe exceed the value quoted by other professionals, he exceeded his appraised price achieving one the highest results in the area. So we thank you Joe for your over and above client loyalty and a great result” Sellers Raymond & Josephine About Joe... With over ten years in sales and marketing roles, Joe understands that a strategic marketing plan, tactical negotiation skills and knowledge of the market are the keys to a successful campaign. Joe was awarded top graduate in the Bachelor of Business at Auckland University of Technology Majoring in Sales and Marketing, since then, Joe has excelled in various senior sales roles both in Auckland and London. This experience has made Joe a well-rounded salesperson with clear principles and personal values with an emphasis on being incredibly client focused. 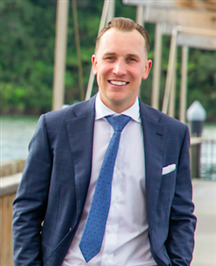 Joe’s professional approach to residential sales is grounded in building strong trust and rapport with clients and the understanding that selling their largest financial asset is a privilege and must be carried out with the highest level of integrity while ensuring they achieve their personal real estate goals. This constant level of commitment has led to sales results exceeding client expectations or in sourcing the perfect homes at the right prices for his buyers. His honest, reliable and informed approach provides his clients absolute confidence. Joe prides himself on continually presenting all of his clients’ homes to the absolute best standard for the maximum result. Client loyalty, true professionalism and top sales results are very important to Joe and his team. Hi my name is Todd Murray I joined this fantastic business of real estate in 2010. During that I time I have experienced great levels of success, my energy and enthusiasm have served me well as I have sold many properties in the West Harbour, Hobsonville area as well as other areas of West Auckland. I have sold homes across the board, from first homes through to substantial West Harbour properties. I have lived in the area all my life and know many members of our community. I firmly believe my name is my name and I set a high standard for myself and look to build credibility in all situations. If it is honesty, integrity, credibility, and enthusiasm you are looking for in a real estate broker, call me today. 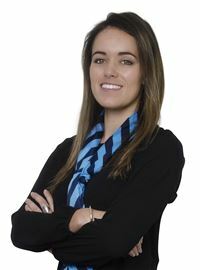 Carolynn is based at the Harcourts Northwest Office. Carolynn provides top quality service, has excellent marketing and selling skills, professionalism and integrity. Carolynn is outgoing, friendly, enthusiastic and genuinely committed to helping clients achieve their goals. She believes in putting the clients first and understands the need for dedication and regular communication. Within Harcourts, New Zealand’s largest Real Estate company, awards don’t come easy given the large number of salespeople within the organization, but Carolynn continues to collect awards and accolades for her work and commitment as her career progresses. Carolynn has achieved Top Salesperson, Top Auction Lister and Top Exclusive Lister every year within the Westgate office for the last 6 years. Other recent awards include monthly successes within Harcourts Hobsonville Realty Ltd and also regional Harcourts Group awards. 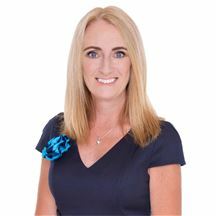 Whether you are looking to sell or buy, with over 18 years experience, top marketing expertise and extensive local knowledge, you can feel confident dealing with Carolynn Fay James. Looking to sell . . . Carolynn believes, “It’s all about the plan and the execution of the plan” Although many salespeople simply seek a “listing” of a property, Carolynn likes to look further ahead and talk about how we reach the target, that being the best price for what is likely to be your most valuable asset - not simply securing the “listing” and hoping for the best. When dealing with Carolynn you will always have choices involving the various methods of marketing your home, or indeed a combination of these to achieve the ultimate result. Once the plan is agreed, and then the activity and constant communication begins until you receive an offer that is acceptable to you. If you are thinking of selling an initial consultation with Carolynn can only open your mind as to the options available to you as a prospective vendor. Some valuable advice at no cost. Looking to buy . . . “Non-stop service – call anytime” Carolynn prides herself on working to meet all of her buyers needs. Carolynn’s database management and constant contact with her buyers ensures that if you entrust Carolynn to find your new home, you will not be forgotten. As Carolynn’s buyer, you will always be updated on the market and be advised about upcoming properties for sale that may suit you. Carolynn is attentive, listening to all your wants & needs. She is diligent in seeking out properties that may suit you and she is 100% committed to finding that perfect property for you. An award-winning husband and wife team. Rosie & Daniel Deans are official members of the Harcourts $25 Million Sales Club having successfully listed and sold in excess of $25,000,000 worth of real estate in Auckland. Combined, they have 7 years of real estate sales experience. Daniel has 15 years of trade experience in residential and commercial property which proves invaluable in the buying and selling process. Daniel's property knowledge gives buyers confidence in the product he is selling and greatly assists sellers during the market preparation stage. 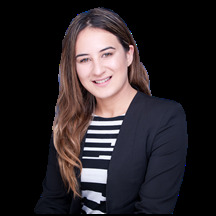 Rosie is very process driven to ensure sellers and buyers are well informed and well guided throughout the selling process from start to finish. 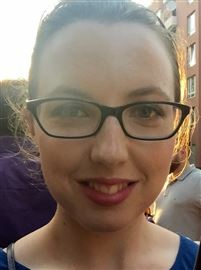 Rosie has a Bachelors Degree in Computer Science, a Diploma in Business Computing and 8 years of international IT service delivery experience under her belt. She is also currently studying towards the highest possible real estate qualification to ensure both sellers and buyers get the best possible real estate advice and guidance. Together with Daniel's trade experience, Rosie's international IT service delivery experience and their combined sales experience, this husband and wife team delivers a high-quality real estate service. Equally as important, this friendly duo is down to earth and have a natural ability to make you feel relaxed and at ease. 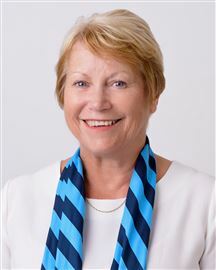 AWARDS & CAREER SNAPSHOT - Awarded with a High Achiever Sapphire Pin at the Harcourts Northern Region Awards, Feb 2019 - Became an official member of the Harcourts $25million Sales Club, Nov 2018 - Over $1million settled sales - Dec 2018 - Over $2million settled sales, Mar 2018 - Over $1million settled sales, Nov 2017 - Over $1million settled sales, Aug 2017 - Over $1million settled sales, May 2016 - Over $2million settled sales, Mar 2016 - Over $3million settled sales, Nov 2015 - Over $1million settled sales, Aug 2015 - Over $1million settled sales, July 2015 - Over $1million settled sales, June 2015 - Over $2million settled sales, May 2015 TESTIMONIALS : "Rosie and Dan went above and beyond to sell our house in Kervil Avenue. We were living outside of Auckland and they organised the preparation of our house for sale, with Dan even water blasting our deck for us! They made the whole process extremely stress free and kept us fully informed at every stage. They display a high level of professionalism and are very hardworking. We felt confident in there ability to sell our home and that was shown in the price they achieved which was above our expectations. They are both very open and honest and easy to deal with. I wouldn’t hesitate to recommend them to anyone that was looking to sell there property." 63 Kervil Avenue, Te Atatu Peninsula (Vendor Review) SOLD for $1,155,000. "I can't praise Daniel and Rosie enough for their professionalism and mannerisms in selling my home. I would recommend them 10/10 to anyone buying or selling. Excellent job, excellent outcome...Well done!!". 5 Rewarewa Road, Te Atatu Peninsula. (Vendor Review) SOLD for $1,100,000. "A big thanks for selling 20 Rewarewa Rd. Te Atatu. Daniel thanks for all your hard work helping with the preparation for the sale -including, but not limited to, repairing of fence posts and helping me shift out a whole house worth of stuff. Thanks to Rosie for her Real estate knowledge and advice. Thanks to both Dan and Rosie for all the Open homes, support and perseverance to get our house sold. Dan and Rosie are a great Real Estate team and great people to boot. Thank you both very much ." 20 Rewarewa Road, Te Atatu Peninsula (Vendor Review) SOLD for $1,100,000. "Daniel and Rosie are amazing! They are so friendly, helpful and went way above and beyond the call of duty when buying a property through them. We love our new home and are really grateful for everything you guys did for us. Thanks team! Lorna and Tom" 96 Kervil Avenue, Te Atatu Peninsula (Purchaser Review) SOLD for $815,000. "As the super happy purchaser of 3 Rapaki Place I would like to say what a fantastic experience it has been meeting and dealing with Daniel and Rosie. Superb communication and assistance, practical down to earth advice, open and honest people willing to work hard and get a great result for the vendor and the purchaser. A winning combination and can't wait to see what we can achieve together in the future." 3 Rapaki Place, Te Atatu Peninsula (Purchaser Review). SOLD for $780,000. Lisa is the real estate agent you have been searching for, with an eye for detail and a focus on customer service. Lisa has been constantly impressing her clients during her successful real estate career. During a distinguished career with the Royal New Zealand Air Force, Lisa proved herself as a hard- working, loyal and tenacious individual – all attributes that have ensured her career in real estate has been supremely smooth. Organised, enthusiastic and with a giving nature, Lisa believes that fostering positive business relationships go hand-in-hand with success, and she works tirelessly to deliver a service with exceptional results, earnest attention to detail, and a sense of humour that will ensure her clients are clients for life. Having lived and worked in the North-West area for nearly 20 years, Lisa is an area expert who has a great relationship with the local community and understands the local property market exceptionally well. For an obligation-free appraisal of your property, to discuss the market, or just pick her brains, don’t hesitate to give Lisa a call. Are you looking to sell a property in the greater Auckland area? Over nearly 12 years I have marketed and sold in 30+ suburbs across Auckland. So why work with me? My focus is on creating a tailored, effective, strategy for you by thoroughly researching your property, diving deep into buyer demographics, networking with colleagues in the industry across brands and using robust negotiation skills to secure you your ideal outcome. As with any process with lots of moving parts, occasionally things go wrong. And should the unexpected occur, I have a knack for troubleshooting, a solid knowledge base and professional network to help you get through it. I am a firm believer in transparency and a strong advocate for the clients who partner with me. My objective is for your sale to be as stress-free and cost-effective as possible. Think we would be a good fit? I would love to hear from you. Get in touch and tell me about your situation and what you are trying to achieve. Let's make a plan! 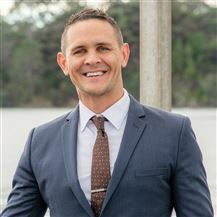 Richie has moved to Harcourts after an 11 year Air Force career and brought with him a high standard of professionalism, integrity and adaptability. These values, along with effective communication, detailed planning and his natural, friendly energy, will make the process of selling your home an easy one. Call Richie any time! “Dedicated to looking after You” Looking for an exciting and rewarding challenge, Robert Zhang is taking his experience in the professional services industries and using it to deliver great outcomes for his clients. 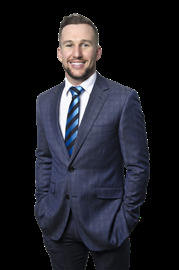 He is the educated and customer focused salesperson at Harcourts Massey North branch, ready to provide you with better service and great results. Robert is armed with Post Graduate Diploma of Business Management, so understands the expectation that good business demands. He is experienced with meeting tight deadlines, creating engaging and expert marketing plans, as well as in developing and maintaining his database of clients. With his widespread contact network and his ability to speak English, Cantonese and Mandarin, He is a great communicator. Dedicated to keeping clients informed through every step of sale or purchase process. This is not all about Robert though. In his spare time, he is involved with the Hunan Fellow Association, which provides support for new immigrants from China. He finds this a great way to be involved within the community and he takes pride in his work. He believes that “Dedication is the key to succeed for a lifetime”, a moto which he applies to all aspects of his professional and personal life. He looks forward to dedicating time to you and your needs and exceeding your expectations. If you are looking for a Sales Consultant that operates with trustworthy and strong values……..then call Robert today. An award-winning husband and wife team. 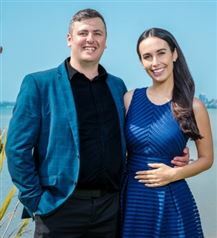 Rosie & Daniel Deans are official members of the Harcourts $25 Million Sales Club having successfully listed and sold in excess of $25,000,000 worth of real estate in Auckland. Combined, they have 7 years of real estate sales experience. Daniel has 15 years of trade experience in residential and commercial property which proves invaluable in the buying and selling process. Daniel's property knowledge gives buyers confidence in the product he is selling and greatly assists sellers during the market preparation stage. Rosie is very process driven to ensure sellers and buyers are well informed and well guided throughout the selling process from start to finish. Rosie has a Bachelors Degree in Computer Science, a Diploma in Business Computing and 8 years of international IT service delivery experience under her belt. She is also currently studying towards the highest possible real estate qualification to ensure both sellers and buyers get the best possible real estate advice and guidance. Together with Daniel's trade experience, Rosie's international IT service delivery experience and their combined sales experience, this husband and wife team delivers a high-quality real estate service. Equally as important, this friendly duo is down to earth and have a natural ability to make you feel relaxed and at ease. 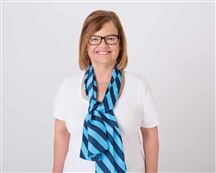 AWARDS & CAREER SNAPSHOT - Awarded with a High Achiever Sapphire Pin at the Harcourts Northern Region Awards, Feb 2019 - Became an official member of the Harcourts $25million Sales Club, Nov 2018 - Over $1million settled sales - Dec 2018 - Over $2million settled sales, Mar 2018 - Over $1million settled sales, Nov 2017 - Over $1million settled sales, Aug 2017 - Over $1million settled sales, May 2016 - Over $2million settled sales, Mar 2016 - Over $3million settled sales, Nov 2015 - Over $1million settled sales, Aug 2015 - Over $1million settled sales, July 2015 - Over $1million settled sales, June 2015 - Over $2million settled sales, May 2015 TESTIMONIALS : "Rosie and Dan went above and beyond to sell our house in Kervil Avenue. We were living outside of Auckland and they organised the preparation of our house for sale, with Dan even water blasting our deck for us! They made the whole process extremely stress free and kept us fully informed at every stage. They display a high level of professionalism and are very hardworking. We felt confident in there ability to sell our home and that was shown in the price they achieved which was above our expectations. They are both very open and honest and easy to deal with. I wouldn’t hesitate to recommend them to anyone that was looking to sell their property." 63 Kervil Avenue, Te Atatu Peninsula (Vendor Review) SOLD for $1,155,000. "I can't praise Daniel and Rosie enough for their professionalism and mannerisms in selling my home. I would recommend them 10/10 to anyone buying or selling. Excellent job, excellent outcome...Well done!!". 5 Rewarewa Road, Te Atatu Peninsula. (Vendor Review) SOLD for $1,100,000. "A big thanks for selling 20 Rewarewa Rd. Te Atatu. Daniel thanks for all your hard work helping with the preparation for the sale -including, but not limited to, repairing of fence posts and helping me shift out a whole house worth of stuff. Thanks to Rosie for her Real estate knowledge and advice. Thanks to both Dan and Rosie for all the Open homes, support and perseverance to get our house sold. Dan and Rosie are a great Real Estate team and great people to boot. Thank you both very much ." 20 Rewarewa Road, Te Atatu Peninsula (Vendor Review) SOLD for $1,100,000. "Daniel and Rosie are amazing! They are so friendly, helpful and went way above and beyond the call of duty when buying a property through them. We love our new home and are really grateful for everything you guys did for us. Thanks team! Lorna and Tom" 96 Kervil Avenue, Te Atatu Peninsula (Purchaser Review) SOLD for $815,000. "As the super happy purchaser of 3 Rapaki Place I would like to say what a fantastic experience it has been meeting and dealing with Daniel and Rosie. Superb communication and assistance, practical down to earth advice, open and honest people willing to work hard and get a great result for the vendor and the purchaser. A winning combination and can't wait to see what we can achieve together in the future." 3 Rapaki Place, Te Atatu Peninsula (Purchaser Review). SOLD for $780,000. ✔Putting people first. After your initial chat with Steve Cotter of Harcourts Northwest, you’ll immediately enjoy clear and honest communication, with a friendly common sense approach. When it comes to client’s most valuable investment, Steve places the highest priority on developing close relationships with his clients, with a focus on listening, understanding and regular dialogue. ✔Proven success. Steve offers his clients the benefit of a proven background managing complex marketing campaigns across a range of industries including Finance, Tourism, and Rural. With this history, balanced with a ‘full-time-Dad’ career, you’ll quickly see why Steve is refreshingly easy to deal with and can deliver innovative and creative solutions for his clients. Having made his home on a lifestyle block in Auckland’s Northwest, Steve has skin-in-the game in delivering success for all his clients building their own “Northwest Life”. Coupled with a trusted brand and a cohesive team of professionals at Harcourts Northwest’s office, Steve’s clients will always have peace of mind that they’re in excellent hands. ✔Sit back and relax. Steve recognises that trust has to be earned - not something he takes lightly. Steve takes time to ensure that all his client’s concerns are addressed with transparency, and that their real estate journey is a pleasure. He takes an interest in his client’s stories and goals, shows empathy and takes the time to understand their real estate situation. Steve’s sound work ethic, integrity and attention to detail makes sure the process is done right first time, for a stress-free result. So, if you’re looking for a real estate experience that’s exciting, rewarding and effective - chat with Steve Cotter first. You’ll soon see why more people are choosing to talk to Steve to help with building their own ‘Northwest Life’. Taryn’s mission is to provide a professional and reliable service, achieved through determination and hard work, thus ensuring your buying or selling experience is as smooth as possible. With a genuine passion for the industry, Taryn is committed to creating and implementing the best plan to make your Real Estate experience positive, uncomplicated and personalised. Taryn has an engaging and energetic personality coupled with a unwavering determination to achieve the best possible results for her clients. Service with integrity is what you will receive from Taryn. Wayne came to New Zealand 17 years ago and speaks fluent English and Mandarin which allows him to communicate effectively with a wide range of nationalities. 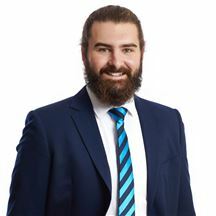 He has worked in both marketing and sales management roles for over eight years and since joining Harcourts has experienced great levels of success. 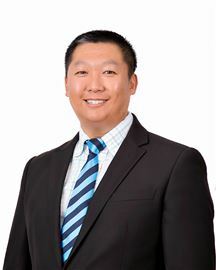 His energy and enthusiasm has served him well, selling many properties in the West Auckland area and the wider Auckland area. Wayne is a good listener, ensuring he is understanding the customers need's and is always searching for the best suited solution for each individual client. He is a positive, confident, reliable and conscientious person with excellent communication, works effectively with a wide range of customers and provides exceptional customer services. I am a Singaporean Chinese born in Singapore and have lived in Australia and New Zealand since 1984. I have resided in West Auckland for the last 25 years. My previous background was in the international travel and hospitality industry and I have traveled widely. My main line of work has been in the real estate industry since obtaining my real estate license in late 1999. I have done work as a sales agent, letting agent, and property manager. I have achieved a high level of results that has given a solid foundation to my real estate career. My experience with many different types of people has taught me to listen carefully to the special needs that each individual or family has, and look for solutions that meet those needs as closely as possible. In my most recent job of property manager I have been required to communicate effectively with my clients. I have had to liaise with tradespeople, landlords, tenants and clients. I have also been organised and successful in keeping up with paperwork and the administrative duties associated with the job. My work in the hospitality industry has also been centred around customer service. I pride myself on my fast, efficient, friendly service and have also been successful in managing a small team. My aim is to give a committed and friendly service. The many satisfied clients I have helped assure me that my approach works well for them. I enjoy working with people and I am proud of my communication skills. English is my first language although I can understand Malay and Indonesian as well. Janeane entered the Real Estate industry in 1992 as a Property Manager. She has vast experience and has recently relocated to work for an up and coming new office, Harcourts Northwest as Senior Property Manager. 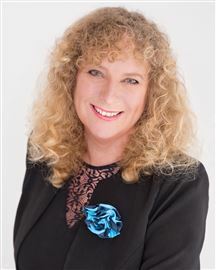 If you are looking for advise on Property Management, please do not hesitate to contact her on 027 477 1366 or janeane.davis@harcourts.co.nz. No Plan B. Present All Offers! 2 or 3 bedroom - you choose! Forget the CV! This must sell! Too big for the two of us. Downsizing - owners say "SELL"
New Build, Loaded With Extras! New Year, New Home, Why Not? Family Size or Down Size! Kiwi classic + views + bush! Buy me so we can move! Go all in on Alford!